Forest For Friends is a very quirky, fun and weird, absurd, lighthearted, somewhat a surreal glimpse of life in the forest. Yes. It´s mostly about a spruce talking to a rock. A very old and bored Mr. Rock, who is not always too happy about his new neighbour Mr. Spruce. So there doesn´t seem to happen too much. It can take a whole year for the rock to answer to spruce´s wish for “Happy New Year”. So the rock is slow. Very slow. And very old. And very wise. Well. Maybe not so wise. Mr. Rock recommends this Comic Book as there is one annoying tree less for every sold copy. 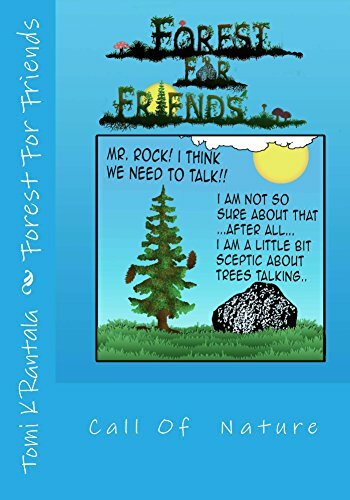 Forest For Friends is a comic book recommended for all ages.